The Jurtschitsch winery, situated in Langenlois, is one of the most prestigious wineries in Austria which impeccably displays Austrian wine culture at its best. 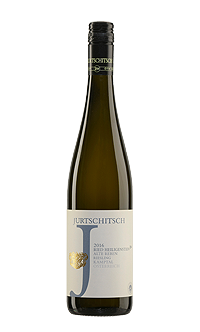 Alwin and Stefanie Jurtschitsch having been leading the family estate for some time now and have managed to reinterpret premium wine in their own way. For the two of them this means vinifying authentic, complex and terroir-specific wines with cool, elegant stylistics - in other words, permitting the different appellations in Langenlois to express themselves individually. The new parameters, which are in fact based on long-standing traditions form the origin for this: biological farming, healthy soils, minimal interventions in the cellar and specifically experimenting to keep on top of the endless riches hidden away in the wine world. Before taking over the winery, Alwin and Stefanie travelled the wine world and came to the conclusion that the conversion to organic farming was essential. It is not only an ethical principle to work sustainably, but also that quality can only be achieved through healthy soils and vines, an example being the use of cow dung as fertilizer. Additionally, breaking up the monoculture wine gardens by the planting peach trees and vineyard garlic. The long-term goal is to avoid irrigation by making the vines as healthy and as autonomous as possible. As healthy vines are not only more resistant, they also produce more intense wines. In the cellar, the commandment is minimal intervention. The wines undergo spontaneous fermentation and are sulphurized only before bottling with moderate dosage. To guarantee wine culture at the highest level, another commandment is: reduce to grow. Thus why leased vineyards were returned to ensure full commitment to the 62 hectares of privately owned vineyards. 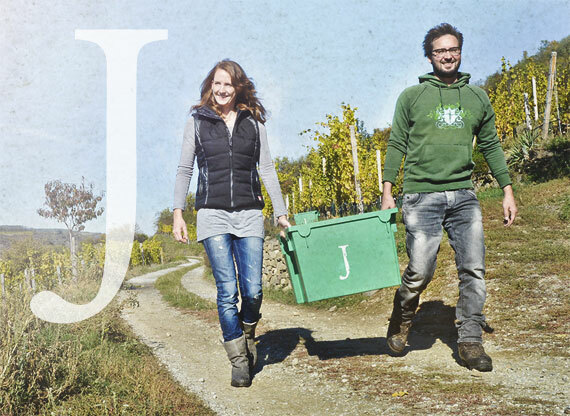 The interplay of conditions in the vineyard, the thoughtful and respectful handling of nature, the sensitive and gentle vinification and an open mind for "new" ways is the successful recipe for producing wines of the highest standard for Alwin and Stefanie Jurtschitsch. Visit us on Facebook, send us an or give us a call: +43 2734 2116.